Deeply-held values, beliefs, and principles form the foundation upon which this Human Resources site is built. These deeply-held values, beliefs, and principles form the underpinnings for the approaches recommended and the objectives for this Human Resources website. In the workplace, we are all equal. We just have different jobs and callings through which we are challenged to add value every day. We operate from our own value system. These values profoundly affect everything that we do or say. Thus, identifying and living our values is crucial. Employees are your most important assets. Consequently, companies you influence should appreciate employees and act out of a genuine belief that employees, along with the customers, matter the most. When this thinking prevails, organizational decisions become easy. Are they employee-friendly while protecting the company that provides employment? If so, implement them. Do they recognize the fact that, but for your employees, a competitor could set up shop tomorrow and offer your same products and services? Result: your company could lose. Don't ever expect a colleague to support, with one hundred percent of their energy and passion, any process, decision, or approach, that they were not part of creating. Work is most congruent with our needs and values when the contribution that we make also fulfills our personal mission and vision. Identifying and living a personal mission and vision is key to this balance. True diversity will rock your workplace. We are not referring to artificial appreciation or politically correct (PC) statements and mandatory programs about race, color, or creed. You should advocate genuine appreciation for and integration of the vast variety of talents, skills, backgrounds, experiences, generational differences, and beliefs that diverse employees bring to your workplace. People talk about organizations having a mission and vision incessantly - mostly for the wrong reasons. How organizations go about sharing them with all employees leaves much to be desired. Employees want to be part of something that is bigger than themselves. They want to feel that their employer has an overall direction in which their work and contribution fits and matters. So, articulate the mission and the vision and share them in a manner that will help employees integrate them. The only way to help employees internalize the mission, vision, strategies, and goals is to hold a conversation with each employee. 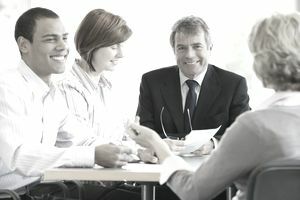 During the conversation, the employee identifies how his or her work can contribute to the achievement, how they need to grow and develop skills to better contribute, and how their work fits into the broader work of other employees. When organizations hold these conversations, magical partnerships ensue. Decisions are made correctly. Time is spent on contribution. Managers and frontline supervisors are the most powerful force for good - or for ill - in your organization. They either learn to manage people in ways that empower, enable and reinforce positive power in your work environment or they should be fired. Behavior that reinforces petty egos, blocks information flow, and fails to respect the dignity, rights, and humanness of every employee is not just unacceptable, it is criminal. Think that you can train a manager who treats people with a lack of respect? Think again. You can train skills; you can't train attitude, emotional maturity, beliefs about people, or values. That was his or her parent's job. Your job? Get rid of him or her. Before they destroy the work outlook of other employees. And, while we're on the topic, employees don't change much either; they just become more of who they are - or sneaky.